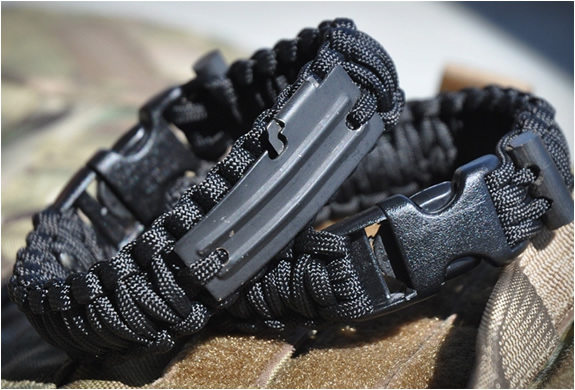 The Survival Bands by Re Factor Tactical carry all the essentials on your wrist allowing you to survive anytime, any place. 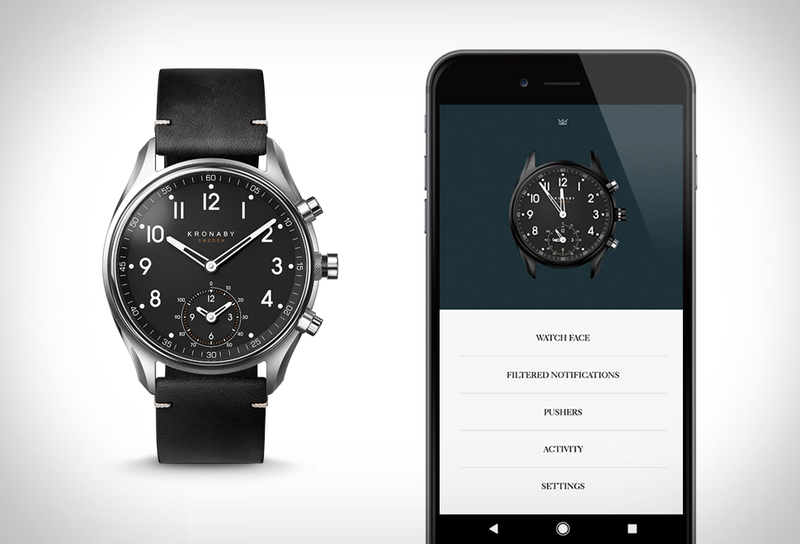 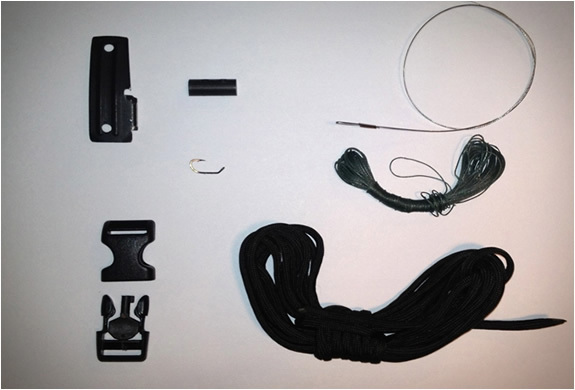 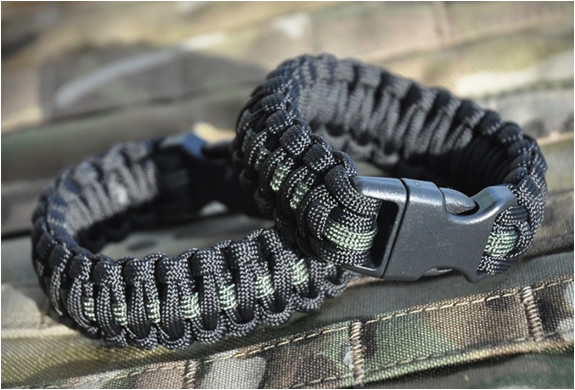 They feature a can opener, fishing line and fishing hook, a flint fire starter rod, 12´of 550 Paracord, a handcuff key, and a buckle with a built-in whistle. 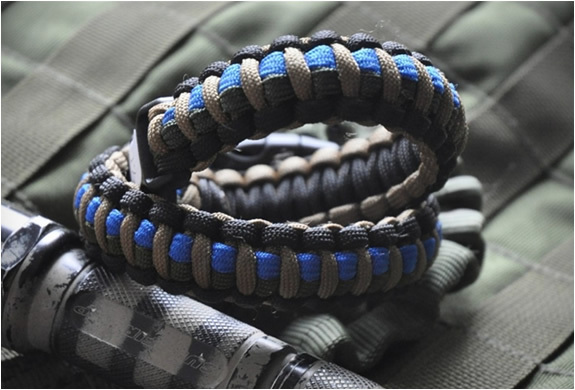 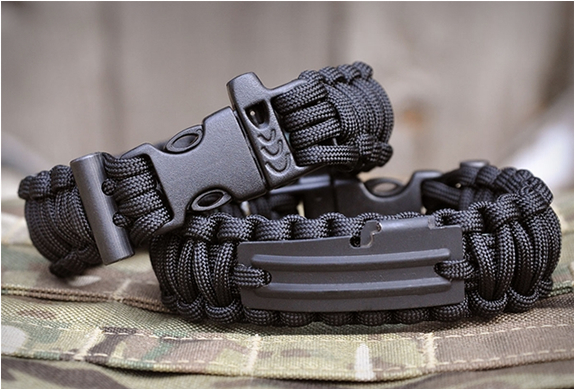 The complete survival band will knock you back $49.95, a smaller version is available wich includes 12´ of paracord for survival situations costing $12.